People love them; they want some more of ’em! They want to experience Seven Bridges’ “Tribute to Hall-of-Famers, The Eagles,” again and again! 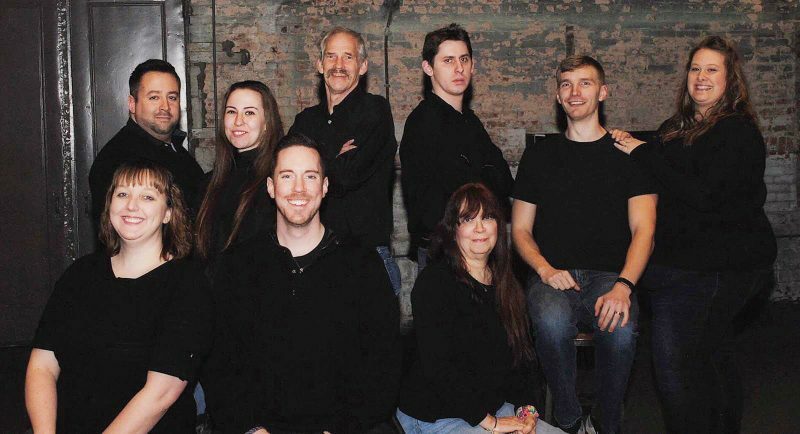 On Saturday, May 13, at 8 p.m., Crescent Beer will again sponsor Seven Bridges’ performance at the Struthers Library Theatre, 302 W. 3rd Ave., Warren. You’ll get goosebumps when they sing “Seven Bridges Road” acapella. Seven Bridges: The Ultimate Eagles experience is a stunningly accurate tribute to Southern Californians’ most famous musical group, The Eagles. Comprised of six talented musicians, each bringing his own style and flair to the group, Seven Bridges is intent on delivering a near replica of a live Eagles performance that is so precise, so intense, and so believable, as to be mistaken for the masters themselves. A Seven Bridges show runs the gamut from the Eagles’ greatest hits, “Take It Easy,” “Desperado,” “Hotel California,” “Heartache Tonight,” “New Kid in Town” and more to include Don Henley and Joe Walsh/James Gang solo material. A Seven Bridges show is suitable for music lovers of all ages so bring the whole family. The Eagles are an American rock band formed in Los Angeles, California in 1971 by Glenn Frey, Don Henley, Bernie Leadon and Randy Meisner. With five number one singles and six number one albums, the Eagles were one of the most successful recording artists of the 1970s. Since its early 1976 release, Their Greatest Hits (1971-1975) album went on to become the best-selling album in U.S. history, selling over 29 million copies in the United States, 42 million copies worldwide to date. At the end of the 20th century, two of their albums, Their Greatest Hits (1971-1975) and Hotel California, ranked among the 20 best-selling albums in the U.S. Hotel California is ranked 37th in Rolling Stone’s 500 Greatest Albums of all-time, and the band was ranked No. 75 on the magazine’s 2004 list of the 100 Greatest Artists of All-Time. With four Grammy awards under their belts in the ’70s, the group was inducted into the Rock and Roll Hall-of-Fame in 1998 and into the Vocal Group Hall-of-Fame in 2001. In 2003, the group was ranked number 34 on CMT’s 40 Greatest Men of Country Music. They were one of four artists who were either a duo or a group on the list with the others being Alabama at number 11, Flatt & Scruggs at number 24, and Brooks & Dunn at number 25. Then in 2008 and 2009, they went on to win two more Grammy awards. The Eagles’ music, which crosses over from country to rock and back, has popularized the Southern California country rock sound. Catch the next best thing to the original Eagles — Seven Bridges’ Tribute to the Eagles at the Struthers Library Theatre, Warren, on Saturday, May 13. Join us at the historic and lovely Struthers Library Theatre, Warren for the return of Seven Bridges’ Tribute to The Eagles live performance. All seats are reserved. Purchase your tickets today in Warren with cash or check at the Library Theatre Office, 302 W. 3rd Ave.; Virg-Ann Flower Shop, 224 PA Ave. W.; and in Lakewood, N.Y. at Wing City Grille, 273 Fairmount Ave., or call (814) 489-3110. Tickets are always available at the door with cash or check.